Every investment is worth protecting. 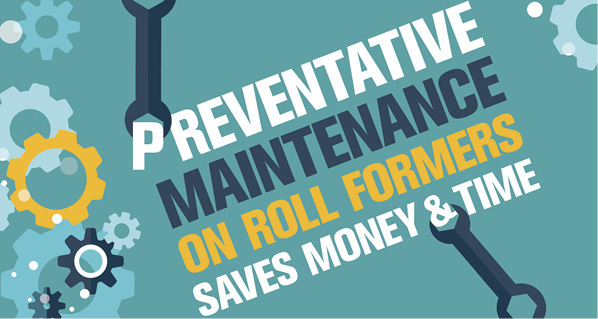 When you invest in machinery or equipment that is the lifeblood of your operation, investing time and money in preventative maintenance should be a top priority. If you run the machine 24/7, without maintenance, you’re playing with fire. You can just keep running the machine and keep replacing parts when they break, but you spend a lot more on parts than you lose on maintenance downtime. The goal is to keep the machine running for a long time. If you don’t stop for maintenance, at some point, something’s going to break and you may have to wait months for a replacement part. Obviously, that is downtime no one can afford. 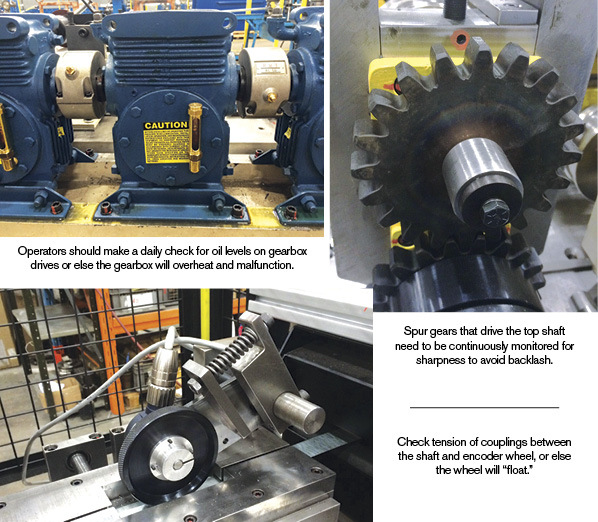 Samco Machinery recently updated its Preventative Maintenance Program Guide for its customers. Because we specialize in engineering and manufacturing customized metal roll-forming solutions, every maintenance program is at least a little bit different. The general outline is useful for any metal roll-forming machine. However, there are some points of emphasis to consider, some things that may get overlooked. Too much water in the coolant mixture can cause rollers to stick together, affect performance of the machine, and the quality of the product. Material going through the forming process and the speed both have an effect on the coolant system. New technology will help owners and operators with preventative maintenance. Heat sensors will gauge the temperature of a particular process area of a machine and just as important, allow you to monitor temperature changes that could indicate a need for maintenance. Noise sensors will be used to monitor wear on bearings, which can get overlooked, as well. The bottom line is that maintenance of machinery is necessary to ensure consistent, productive, profitable operation with minimal downtime, preservation of the investment, and the reduction of unscheduled repair. All components of the operation will have varying requirements for lubrication, estimated life, and need for ongoing maintenance. Important: The following outline is dependent on the number of hours per month or year that the equipment is in operation. Generally, the timeframes outlined in this document assume a two-shift operation on five days per week, or 250 days per year. Grease: This is the most common of lubricants, used in bearings and dies. Shear dies (need to be lubricated daily): Use the minimum amount necessary to witness the lubricant passing a given point. Remove excess lubricant to maintain a clean operation and to remove a dirt-catching situation. Bearings: Requirements vary depending upon the load applied to individual bearings. Roll former shaft bearings: Under heavy loads require frequent lubrication, monthly. Pillow blocks and slide blocks: Under light loads may be lubricated yearly. Chain couplings: To refill chain-type shaft connectors, remove the two plugs and insert a lubrication fitting in one of the openings. Fill with lubricant until the lubricant begins to exit the open hole. Remove the lubrication fitting, and reinstall the two plugs. When filling new equipment or the changing of hydraulic oil, it is imperative that the oil be filtered through a 10-micron (or better) filter to remove impurities. All hydraulic oil is subject to impurities. Equipment using high-speed valving will operate to the highest efficiency by impurity-free hydraulic oil. Hydraulic oil has a limited life usage dependent on the application. There are several means of determining when hydraulic oil should be replaced. The most definitive means of determining when oil should be changed is through an oil service firm that can provide microscopic analysis of samples supplied. The samples are evaluated in relation to the manufacturer’s specification. The recommended viscosity of oil is based on the application. Hydraulic oil should be changed when testing shows it can no longer meet the manufacturers specifications. Daily checks of hydraulic oils should be routine. Operators can review oil levels. Annual maintenance programs may be established by microscopic testing of the oil to determine an “ideal time period” between hydraulic oil changes, dependent upon the hours of usage. In-line hydraulic filters should be scheduled for change when the indicator moves into the “yellow” range and before the indicator moves into the “red” range. Once the indicator moves into the “red” range, the filter is essentially operating in a bypass mode and providing no filtering of the oil. When changing hydraulic oils, it is wise to take the time to clean out the reservoir to remove as many impurities as possible. This involves removing the access covers and wiping the floor of the reservoir with solvent soaked in lint-free wipers to remove all matters of accumulated dirt. This may include portions of gasket, hose lines, and accumulated oil impurities. Screens in the air filters should be removed and cleaned with solvents. Screens normally become clogged with accumulated airborne dirt and will cease to operate as designed. Keep the air filters clean. This will likely occur on an increased-frequency basis as compared to the need to change the hydraulic oil. Ideally, the use of softened water in areas of “hard water” will keep the piping clear of scale build-up. Pressure filters are an optional item and may need to be changed periodically. For best operation, the pressure of the nitrogen gas should be checked weekly. This requires the insertion of a gauge to the check valve to verify and maintain the design pressure of the nitrogen in the accumulator. Pressure drop in the accumulator allows the internal “bag” to fold and unfold excessively, leading to bag failure and machine downtime. Checking accumulator pressure should be undertaken by trained personnel. Hoses that are being abraded due to rubbing on each other or on portions of the equipment will fail in due time. Install proper hose separator clamps where necessary to keep hoses from rubbing on each other or on portions of the equipment. Hoses that show signs of leakage should be replaced immediately. This is a major safety hazard. Hydraulic oil is extremely hot and under great pressure. Properly engineered hydraulic hoses have a life expectancy in the millions of cycles depending upon the application. High-pressure lines, used primarily on piercing and shearing operations, are of major concern. 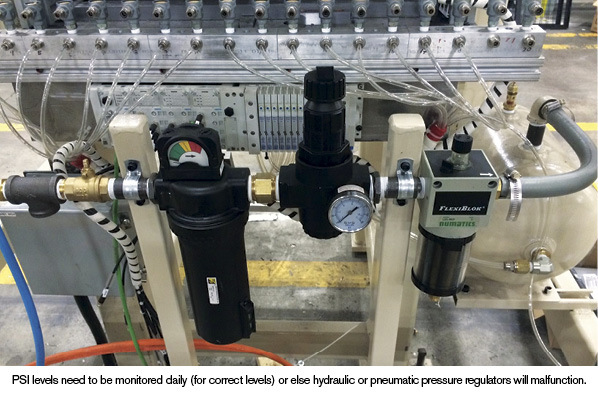 Here, operating pressures of 2800 to 3000 psi with repetitive flexing of the hose requires frequent monitoring by operators and by maintenance personnel. Compressed air serves many purposes. Ideally, there should be no wasted use of compressed air. The ideal manner to check for air leaks is to make a major check of all air lines when the plant operation is idle and absolutely quiet. Turn on the compressor system and listen for air leaks; they will be quite evident. 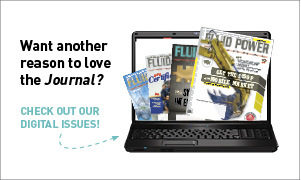 Repair all leaks to conserve compressed air for best use in the manufacturing operations. Drive-belt tensioners are found on flatteners, usually within the housing and located underneath the flattener proper. The ideal tension is set by adjusting the tensioner mechanism. Drive belts are found on all motor applications. Individual and multiple-type gearboxes contain EP-320 gear oil (or as per manufacturer specification) and are subject to gear wear and reduction in the lubricity of the oil over time. Ideally, the oil should be changed yearly for best operation and the base of the tank cleaned to the extent possible. Refill the gearbox to the sight gauge only for best operation. When cleaning gearboxes, before refilling, check for end-play in the shafts. Remove any idler gears that would restrict the checking procedure. Checking shaft end-play can be accomplished merely by manually moving the shaft inboard and outboard. Any end-play can be overcome by tightening the nut on the end of the shaft, having care not to over-tighten the bearing. Checking the bearing rotational quality can be accomplished by rotating the shaft. Bearings exhibiting “rough” sounds or feeling during rotation require changing. Water-soluble oil used in the roll-forming operation needs to be maintained at the oil supplier’s prescribed ratio of oil to water. This can be best accomplished by using a Refractometer to measure the recommended concentration. Refractometers should be available through your oil supplier. Piercing, cutting, forming, and knurling rolls are all subject to wear over time. life due to becoming “short” in overall length. Know the lengths at which tools need to be replaced before reassembling and having to remove the die a second time to change tooling. Maintain an adequate supply of replacement punches and dies to reduce downtime due to reordering. Establish a reorder procedure to maintain inventory levels on hand. Forming rolls are somewhat more challenging to know when to replace. To obtain and evaluate each roll station, stop the line when the material is throughout the machine from the first pass to the last pass. Carefully cut a section of the material between each successive set of rolls and compare the shape of the roll-formed section at that point with the roll-tooling drawings. Differences in the section and the roll drawings will give an indication of those rolls that either need to be adjusted to achieve the engineered shape or possibly the rolls that need to be replaced. Sometimes the whole tooling set can be recut due to maintaining a consistent pass line as engineered. Before removing tooling, document the stand/pass settings for referral to reset tooling. Knurl rolls set too deep will stretch the material and likely cause straightening problems. Knurls are merely to provide an indentation for drywall screws, to prevent the screw from skating across a smooth surface. Samco Machinery provides customers with designs and solutions for metal roll-forming project needs. Maintaining ISO 9001 certification, the company manufactures roll-forming machines, uncoilers, roll tooling, presses, and material-handling solutions, servicing a multitude of customers worldwide in varied industries. Visit www.samco-machinery.com or contact sales@samco-machinery.com. About the author: Jaswinder Bhatti has been with Samco Machinery for more than 30 years. He started by working in every department on the shop floor, working his way up to plant manager. He is currently vice president of applications engineering and global operations.